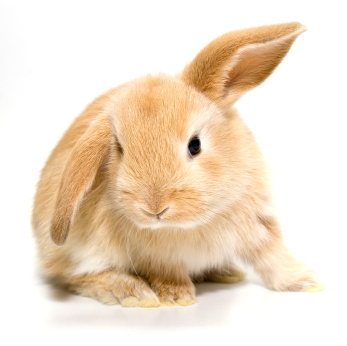 Age: Make sure that your new rabbit is old enough to be taken away from its mother before you decide to take it home. Baby rabbits should be weaned at about 5 weeks to 8 weeks old so if they are any younger than this wait till they hit week 5 at least. Taking them away before then can cause severe stress, growth problems and even death. Health: Check over the rabbit and make sure they appear healthy. Are they curious & moving around or listless and zoned-out? Do they look well fed or do they look skinny and malnourished? Take a pass on any rabbit that doesn’t look like they’re in good health. Teeth: A rabbits teeth constantly grow through their entire lives and are naturally worn down by chewing BUT if their teeth are not lined up correctly it can lead to a host of feeding problems and can eventually lead that rabbits death (from lack of food) if not properly maintained. Misaligned teeth (called malocclusion) is easy to spot so check before committing to a rabbit. To check the teeth pick up the rabbit (or have the person selling the rabbit do it) and pull back their lips, you should be able to see two big teeth on the top and two big teeth on the bottom. The top teeth should be OVER the bottom teeth (not the other way around) they should also not just meet in the middle. Think overbite, all rabbits should have an overbite if their teeth are correctly in line. 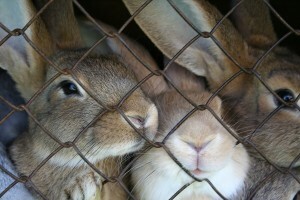 If you’re looking for placing to buy a rabbit check with a shelter or local breeder. 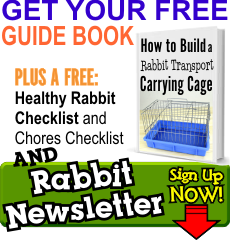 For other interesting rabbit facts don’t forget to sign up for our newsletter!